Regarding the first factor, a major consideration is whether the use is noncommercial. Under the second factor, if a work is previously copyrighted, the original owner’s rights to control derivative works comes into play. 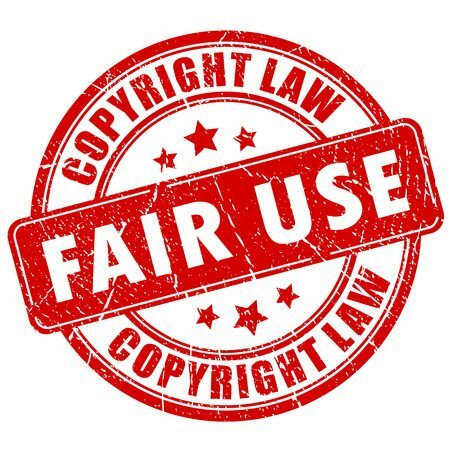 The third factor favors fair use in the event a smaller portion of the copyrighted work is utilized. Lastly, the fourth factor considers whether the use in question acts as a direct market substitute for the original and whether potential market harm exists beyond that of a direct substitution. Overall, fair use is heavily fact intensive and court analyses have rendered various results throughout the years. Fair use has been a particularly hot topic in the music industry, with recent copyright infringement lawsuits aimed at hit singles such as Robin Thicke’s “Blurred Lines”, Bruno Mars’ “Uptown Funk,” and Lil Jon’s “Turn Down For What.” The lawsuits accuse these artists of violating copyrights to older songs, but the artists maintain that any such use is purely inspirational, and thus fair. Older music copyright cases, such as Campbell v. Acuff-Rose Music, Inc. have found that 2 Live Crew’s “Pretty Woman” was a parody of Roy Orbison’s “Oh, Pretty Woman”, and therefore fair use. If you are curious whether your use of a copyright, or another’s use of your copyright, is considered fair use, give Traverse Legal’s Copyright Attorneys a call. Our skilled Lawyers will do the research and assess whether fair use exists in your circumstances. Contact us today!